Welcome to our lovingly renovated farmhouse in a quiet location with central heating. Hand and bath towels are ready and included. On request, WLAN can be booked. 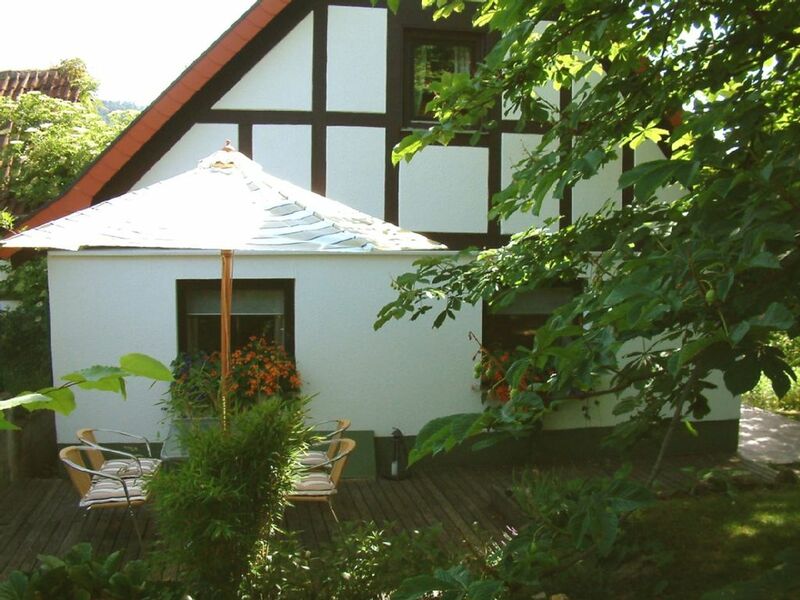 The private garden includes a furnished wooden terrace. Access to the house is through your own garden. With heated floors, walk-in shower, renovated in 2012. Danke für den tollen Aufenthalt. Als Willkommen gab es tolle Bionade. Das Haus hat alles was man braucht. Toll eingerichtet. Bad neu renoviert. Küche war gut ausgestattet. Jederzeit würde ich wieder kommen!